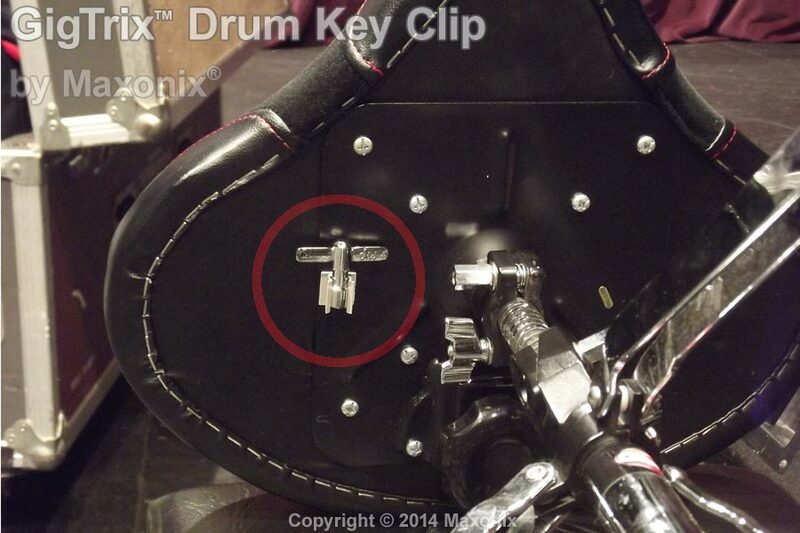 "drum key holder works great"
— B. Ryan - Golden Knights, Drum & Bugle Corps. 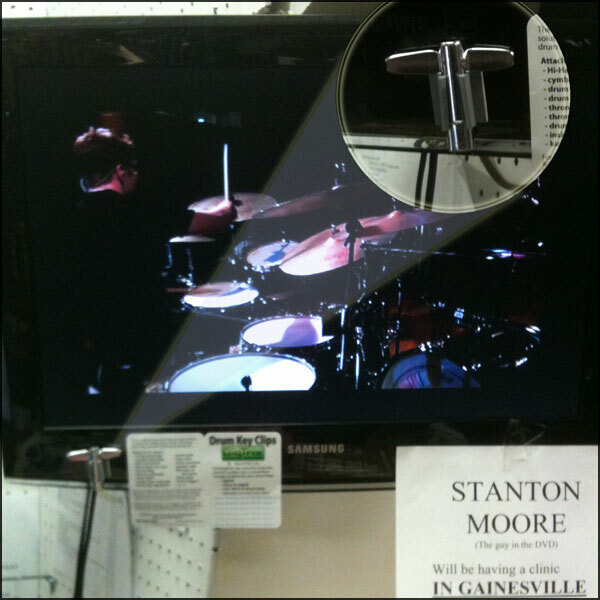 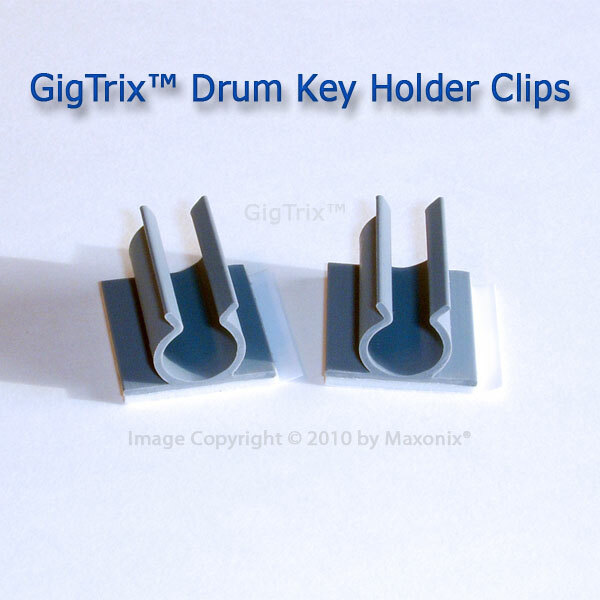 GigTrix™ Drum Key Holder Clip 2 pack – is a fast, easy & inexpensive way to keep drum keys handy. 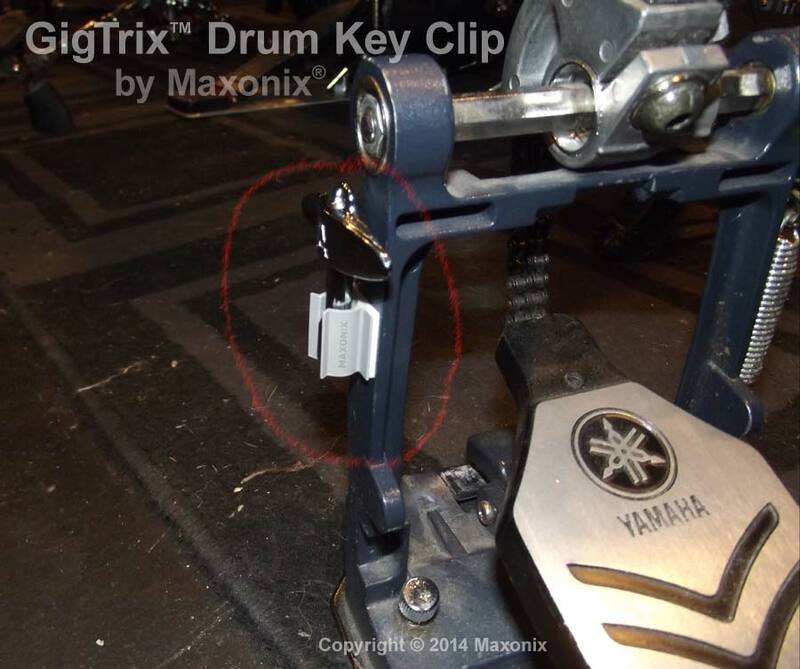 Stop losing your drum keys! 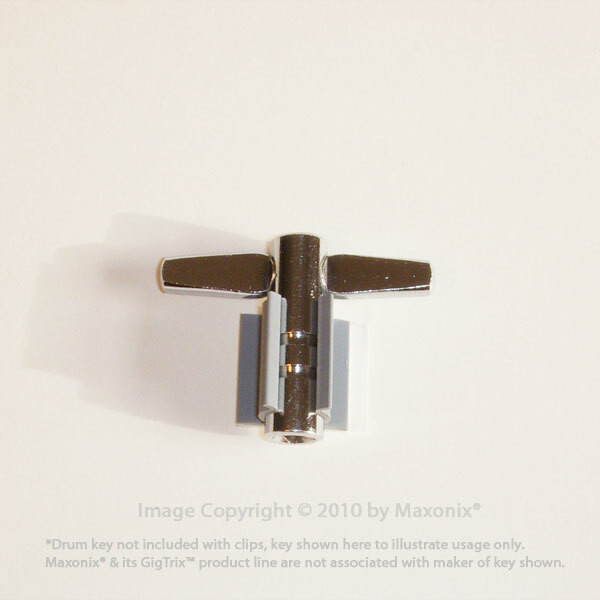 This universal fit adhesive back clip instantly turns any smooth surface into a convenient storage location for your drum keys. Great for drum kit players, drum corps and marching band drummers too. 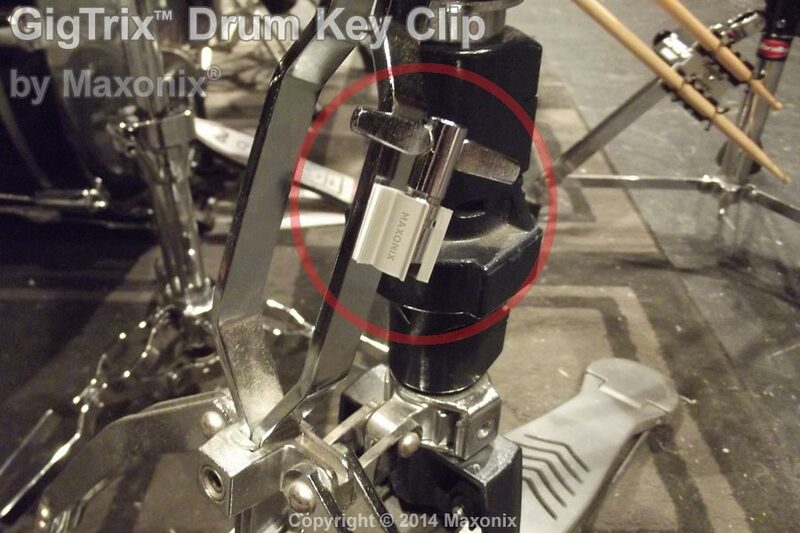 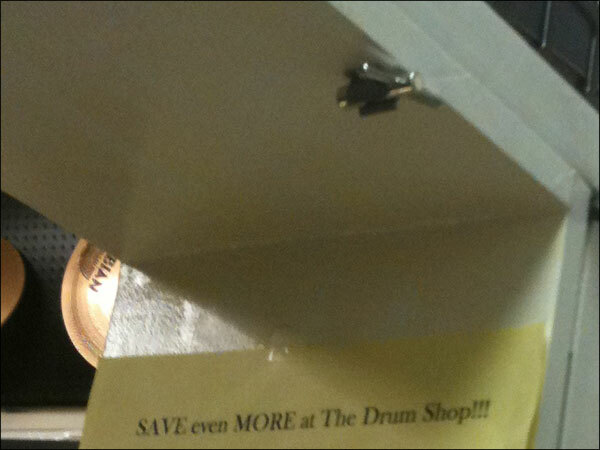 ...Or anyone who uses a drum key. 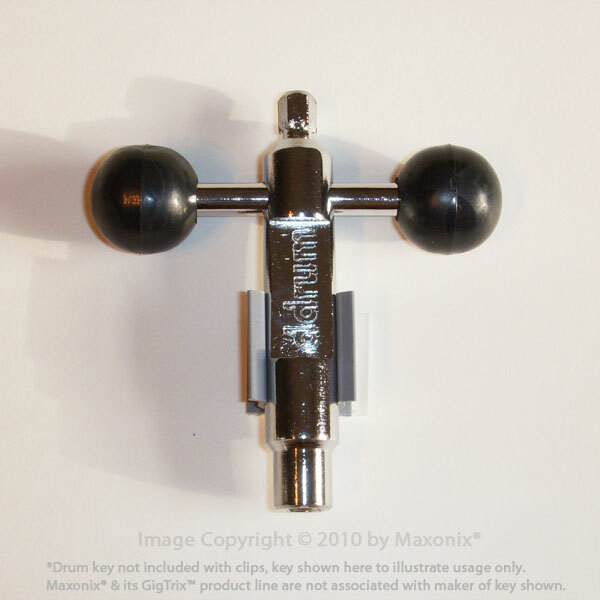 Ideal for flat & smooth surfaces. 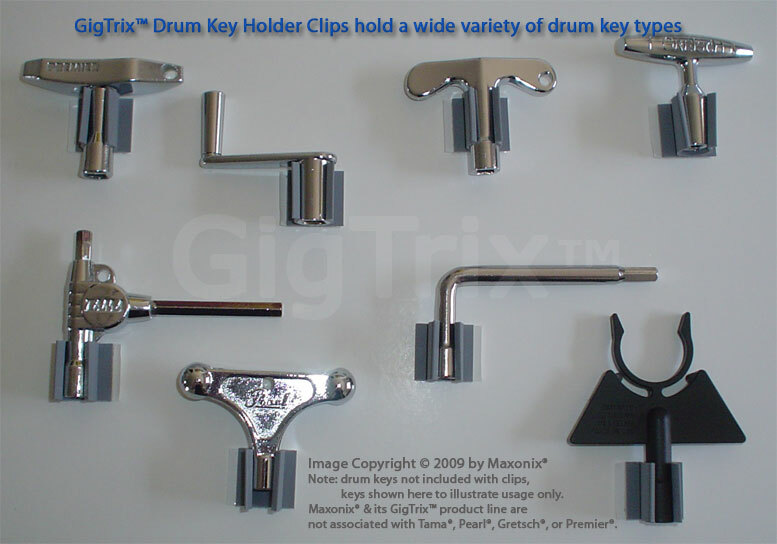 Also works on surfaces with light textures such as common black powder coated music gear, cases, etc. 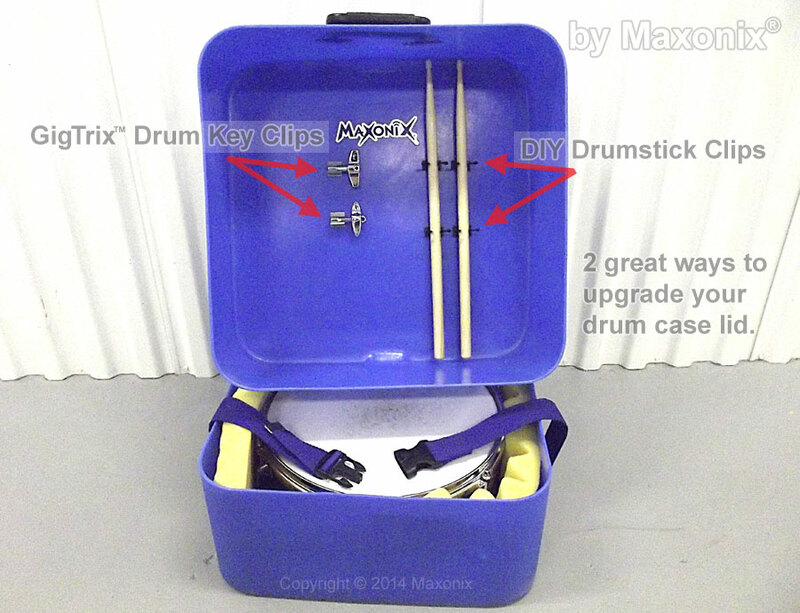 Works on some surfaces with gradual curve, such as large diameter drum cases. 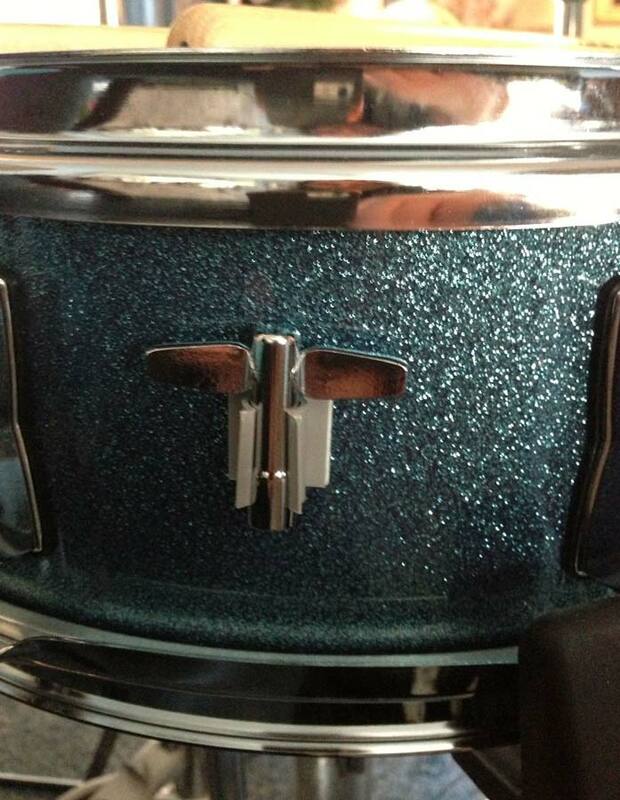 Works great on drum shells - ! 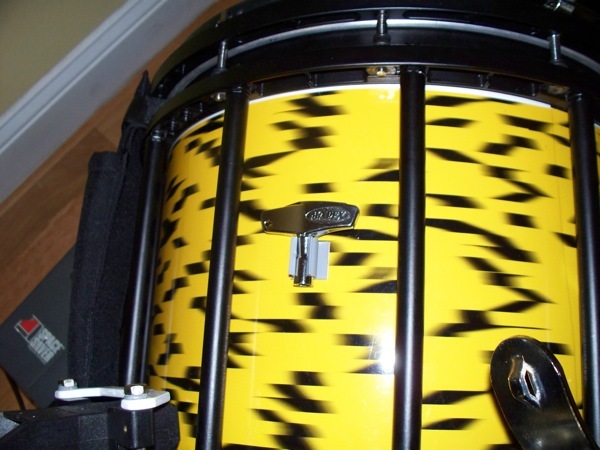 caution, sticks on strong, so be sure where you want it before you put it on! 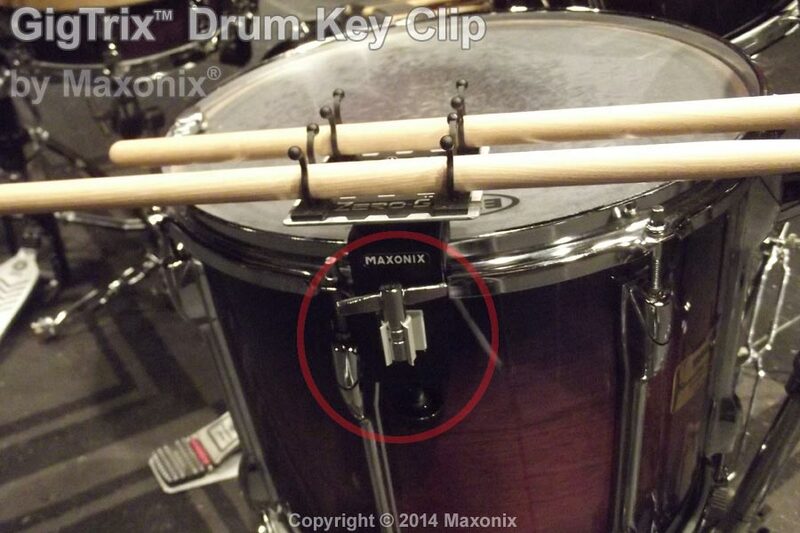 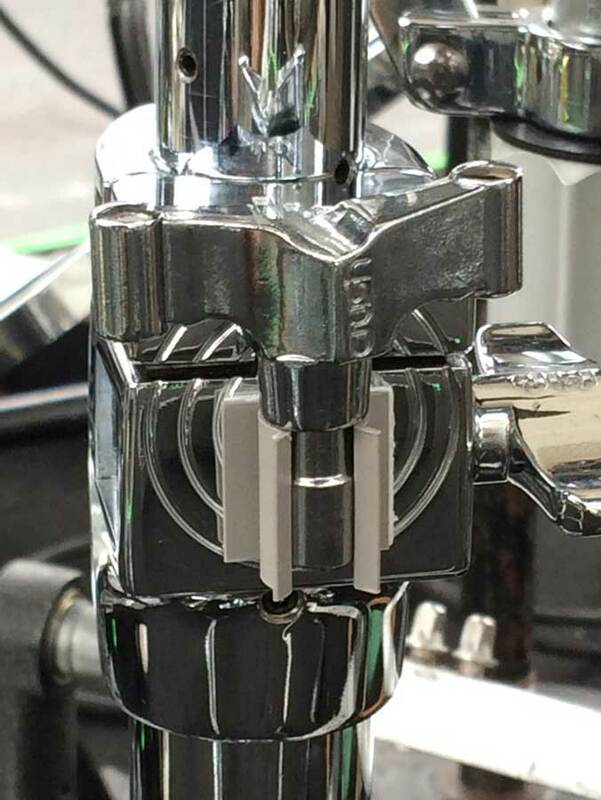 *Add to the bracket of our Zero-G™ drumstick holder.